In Christian theology, universal reconciliation (also called universal salvation, Christian universalism, or in context simply universalism) is the doctrine that all sinful and alienated human souls—because of divine love and mercy—will ultimately be reconciled to God. The doctrine has generally been rejected by Christian religion, which holds to the doctrine of special salvation that only some members of humanity will eventually enter heaven, but it has received support from many prestigious Christian thinkers as well as many groups of Christians. The Bible itself has a variety of verses that, on the surface, seem to support a plurality of views. Universal salvation may be related to the perception of a problem of Hell, standing opposed to ideas such as endless conscious torment in Hell, but may also include a period of finite punishment similar to a state of purgatory. Believers in universal reconciliation may support the view that while there may be a real "Hell" of some kind, it is neither a place of endless suffering nor a place where the spirits of human beings are ultimately 'annihilated' after enduring the just amount of divine retribution. The concept of reconciliation is related to the concept of salvation—i.e., salvation from spiritual and eventually physical death—such that the term "universal salvation" is functionally equivalent. Universalists espouse various theological beliefs concerning the process or state of salvation, but all adhere to the view that salvation history concludes with the reconciliation of the entire human race to God. Many adherents assert that the suffering and crucifixion of Jesus Christ constitute the mechanism that provides redemption for all humanity and atonement for all sins. As one bishop and professor of philosophy has put it, "In the final analysis, the question of salvation is always an inquiry into the balancing of human free will with God's mercy and forgiveness." The Bible itself has, as referred to before, a variety of verses on the subject that appear to be contradictory if not given additional reader interpretation. Influential theologians Emil Brunner and J.A.T. Robinson argue that these verses can be put into two distinct categories: damnation for some or eventual reconciliation for all. The mixed message about the afterlife described in the Bible has been commented on by scholars as early as 1917; then, Harvey W. Scott wrote, "That there is no definite affirmation, in the Old Testament of the doctrine of a future life, or personal immortality, is the general consensus of Biblical scholarship." Some sections of the Old Testament appear to argue that no afterlife exists even for the good and just, with the Book of Ecclesiastes telling the faithful: "The dead know nothing. They have no reward and even the memory of them are lost." The traditional view held by Christian organized religion comes from a variety of Biblical citations. It's stated in John 3:36 (NIV), "Whoever believes in the Son has eternal life, but whoever rejects the Son will not see life, for God’s wrath remains on them." Also, 2 Thessalonians 1:8-9 (NIV) declares, "Those who do not know God and do not obey the gospel of our Lord Jesus, they will be punished with everlasting destruction and shut out from the presence of the Lord and from the glory of his might." "Someone asked him, 'Lord, are only a few people going to be saved?' He said to them, 'Make every effort to enter through the narrow door, because many, I tell you, will try to enter and will not be able to.' Once the owner of the house gets up and closes the door, you will stand outside knocking and pleading, 'Sir, open the door for us.' But he will answer, 'I don’t know you or where you come from.'" Books of the Bible argued to possibly support the idea of full reconciliation include the First Epistle to the Corinthians. The sections of 1 Corinthians 15:22, "As all die in Adam, so all will be made alive in Christ", and 1 Corinthians 15:28, "God will be all in all", are cited. Verses that seem to contradict the tradition of complete damnation and come up in arguments also include Lamentations 3:31-33 (NIV), "For no one is cast off by the Lord forever. Though he brings grief, he will show compassion, so great is his unfailing love", and 1 Timothy 4:10 (NIV), "We have put our hope in the living God, who is the Savior of all people, and especially of those who believe." "He is before all things, and in Him all things hold together. And He is the head of the body, the church; He is the beginning and the firstborn from among the dead, so that in everything He might have the supremacy. For God was pleased to have all His fullness dwell in Him, and through Him to reconcile to Himself all things, whether things on earth or things in heaven, by making peace through His blood, shed on the cross." Broadly speaking, most historical advocates of Christian universalism throughout the years (and many now still) did so from the perspective of accepting the traditional Biblical canon as divinely inspired and without transcription error but rejecting strict Biblical literalism, practicing detailed exegesis of the texts. The advocates have argued that the apparent contradiction between Bible verses that describe God eventually reconciling humanity to goodness (such as in the Epistle to the Ephesians) with those that describe damnation to most of humanity (such as in the Book of Revelation) is that threats of long-term punishment function just as threats, not necessarily as predictions of future events, that will not be actually carried out. Advocates have also argued that suffering of sinners in hell or hell-like states will be long but still limited, not eternal. However, liberal and progressive Christians have often argued that the teachings of the historical Jesus didn't mention exclusive salvation for a select few and have altogether rejected many sections of the Bible written by figures decades after the life of Jesus as man-made inventions that are to be taken with a grain of salt. While not being a universalist per se, influential Christian philosopher Karl Barth, often regarded as the greatest Protestant theologian of the twentieth century, spoke for a great deal of broadly traditional Christians when he wrote that salvation is centrally Christological. He asserted that in Jesus Christ the reconciliation of all of mankind to God has essentially already taken place and that through Christ man is already elect and justified; thus, eternal salvation for everyone, even those that reject God, is a possibility that isn't just an open question but should be hoped for by Christians as a matter of grace. "The history of the doctrine of universal salvation (or apokatastasis) is a remarkable one. Until the nineteenth century almost all Christian theologians taught the reality of eternal torment in hell. Here and there, outside the theological mainstream, were some who believed that the wicked would be finally annihilated (in its commonest form, this is the doctrine of 'conditional immortality'). Even fewer were the advocates of universal salvation, though these few included some major theologians of the early church. Eternal punishment was firmly asserted in official creeds and confessions of the churches. It must have seemed as indispensable a part of universal Christian belief as the doctrines of the Trinity and the incarnation. Since 1800 this situation has entirely changed, and no traditional Christian doctrine has been so widely abandoned as that of eternal punishment. Its advocates among theologians today must be fewer than ever before. The alternative interpretation of hell as annihilation seems to have prevailed even among many of the more conservative theologians. Among the less conservative, universal salvation, either as hope or as dogma, is now so widely accepted that many theologians assume it virtually without argument." Many early church fathers have been quoted as either embracing or hoping for the ultimate reconciliation of God with His creation. Those that did not embrace the teaching, such as Augustine, acknowledged that it was a common enough belief among Christians of the day. The concept of a final restoration of all souls particularly had large appeal in the East during the fourth and fifth centuries. Origen and a form of apocatastasis were condemned in 544 by the Patriarch Mennas of Constantinople and the condemnation was allegedly ratified in 553 by the Fifth Ecumenical Council. Apocatastasis was interpreted by 19th-century Universalists such as Hosea Ballou (1842) to be the same as the beliefs of the Universalist Church of America. However, until the middle of the sixth century, the word had a broader meaning. While it applied to a number of doctrines regarding salvation, it also referred to a return, both to a location and to an original condition. Thus, the Greek word's application was originally broad and metaphorical. 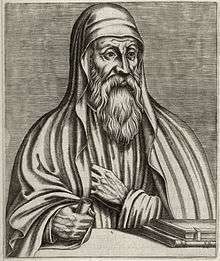 Many heteroclite views became associated with Origen, and the 15 anathemas against him attributed to the council condemn a form of apocatastasis, along with the pre-existence of the soul, animism, a heterodox Christology, and a denial of real and lasting resurrection of the body. Some authorities believe these anathemas belong to an earlier local synod. The New Advent Catholic Encyclopedia claims that the Fifth Ecumenical Council was contested as being an official and authorized Ecumenical Council, since it was established not by the Pope, but rather by the Emperor, because of the Pope's resistance to it. The Fifth Ecumenical Council addressed what was called "The Three Chapters" and was against a form of Origenism which had nothing to do with Origen and Origenist views. Popes Vigilius, Pelagius I (556–61), Pelagius II (579–90), and Gregory the Great (590–604) were only aware that the Fifth Council specifically dealt with the Three Chapters and they made no mention of Origenism or Universalism, nor spoke as if they knew of its condemnation, even though Gregory the Great was opposed to the belief of universalism. Scholar Richard Bauckham has stated that while universalism appeared "discredited" due to scholarly resistance to Origen's view, it "seems in doubt" if the Fifth Ecumenical Council specifically endorsed any negative view of it. Fredrick W. Norris maintains Origen may not have strongly believed in universal reconciliation at all. In an article on Apocatastasis in The Westminster handbook to Origen (2004) he writes that "As far as we can tell, therefore, Origen never decided to stress exclusive salvation or universal salvation, to the strict exclusion of either case." The most important school of Universalist thought was the Didascalium in Alexandria, Egypt, which was founded by Saint Pantaenus ca. 190 C.E. Alexandria was the center of learning and intellectual discourse in the ancient Mediterranean world, and was the theological center of gravity of Christianity prior to the rise of the Roman Church. The Universalists Hosea Ballou (1829), Thomas Whittemore (1830), John Wesley Hanson (1899) and George T. Knight (1911) claimed that Clement of Alexandria expressed universalist positions in early Christianity. These claims have been controversial since they were first made. Some scholars believe that Clement used the term apocatastasis to refer only to the "restoration" of a select few. Gregory of Nyssa was declared "the father of fathers" by the seventh ecumenical council and some traditional and modern Greek orthodox scholars dispute Pierre Batiffol and George T. Knight's claim that Saint Gregory of Nyssa and Saint Macrina the Younger, who were brother and sister, believed or taught universal salvation. However, Gregory of Nyssa, in his book Sermo Catecheticus Magnus, described: "The annihilation of evil, the restitution of all things, and the final restoration of evil men and evil spirits to the blessedness of union with God, so that He may be 'all in all,' embracing all things endowed with sense and reason." He further stated, "when death approaches to life, and darkness to light, and the corruptible to the incorruptible, the inferior is done away with and reduced to non-existence, and the thing purged is benefited, just as the dross is purged from gold by fire. In the same way in the long circuits of time, when the evil of nature which is now mingled and implanted in them has been taken away, whensoever the restoration to their old condition of the things that now lie in wickedness takes place, there will be a unanimous thanksgiving from the whole creation, both of those who have been punished in the purification and of those who have not at all needed purification." One of the undisputed teachers of universal reconciliation is St. Isaac the Syrian, monastic theologian and bishop of Nineveh. The Universalist John Wesley Hanson stated that even after eternal hell became the normative position of the Church, there were still some Christian thinkers during the Middle Ages who embraced Universalist ideas. In his Schaff article George T. Knight stated that "maybe" Johannes Scotus Eriugena, Johannes Tauler, Blessed John of Ruysbroeck and Blessed Julian of Norwich had Universalist leanings. If ideas about the salvation of all souls after purgatory existed in early Christianity, they did not resurface in the Reformation, although figures such as Erasmus rekindled interests in the Greek Church Fathers, and early advocates of universal salvation, such as Origen, became more broadly known as new editions of their writings were published. Michael Servetus' writings also fall into a form of universalism in this period. The period between the Reformation and Enlightenment featured extended debates about salvation and hell. The main controversy during this period was between the majority, who believed in the immortal soul and eternal punishment in hell (such as Calvin), and a minority, (including Luther) who believed in soul sleep. Joachim Vadian and Johann Kessler accused the German Anabaptist Hans Denck of universal salvation, but he denied it, and recent research suggests that this is not so. Hans Hut was deeply influenced by Denck, but there is no evidence that he spread the doctrine of universalism. Gerrard Winstanley, The Mysterie of God Concerning the Whole Creation, Mankinde (London, 1648). Richard Coppin, A hint of the glorious mysterie of the divine teachings (1649), defended at Worcester Assizes, 1652. Jane Leade, A Revelation of the Everlasting Gospel Message (1697). Jeremiah White, chaplain to Cromwell, wrote a book, entitled The Restoration of all things, which was published posthumously in 1712 after his death in 1707. Prominent universalists of this time also include the Cambridge Platonists in seventeenth-century England such as Peter Sterry. The rise of ideological Calvinism, which taught that God neither sought out nor wanted salvation for all mankind and strictly held that divine omnipotence meant that God created those that he foresaw damnation for without mercy, fueled an intellectual counter-reaction in which universalist-like doctrines that God intended all of humanity to be saved and will extend grace to most of humanity gained appeal. Arminianism and Quaker doctrine received much attention, although Christian universalism was still a fringe phenomenon in terms of scholarly thinking of the time. George Whitfield in a letter to John Wesley says that Peter Boehler, a bishop in the Moravian Church, had privately confessed in a letter that "all the damned souls would hereafter be brought out of hell". William Law in An Humble, Earnest, and Affectionate Address to the Clergy (1761), an Anglican, and James Relly, a Welsh Methodist, were other significant 18th-century Protestant leaders who believed in Universalism. 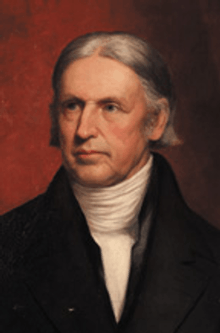 In 1843, the Universalist Rev J. M. Day published an article "Was John Wesley a Restorationist?" in the Universalist Union magazine suggesting that John Wesley (d. 1791) had made a private conversion to Universalism in his last years but kept it secret. Biographers of Wesley reject this claim. Universalism was brought to the American colonies in the early eighteenth century by the English-born physician George de Benneville, attracted by Pennsylvania's Quaker tolerance. North American universalism was active and organized. This was seen as a threat by the orthodox, Calvinist Congregationalists of New England such as Jonathan Edwards, who wrote prolifically against universalist teachings and preachers. John Murray (1741–1815) and Elhanan Winchester (1751–1797) are usually credited as founders of the modern Universalist movement and founding teachers of universal salvation. Early American Universalists such as Elhanan Winchester continued to preach the punishment of souls prior to eventual salvation. The 19th century was the heyday of Christian Universalism and the Universalist Church of America. During this time, famous German philosopher Friedrich Schleiermacher became one of the most well known religious thinkers to teach universalism. Though he somewhat shared John Calvin's view of predestination, he interpreted the concept of an all-determining will of God to mean that, through God's might, power, and foresight, humanity as a whole is fundamentally united in God's view and that every single person will eventually be drawn into His irresistible influence. Other examples include English theologian Henry Bristow Wilson, who took somewhat of a universalist viewpoint in his part of the famous 1680 work Essays and Reviews and became condemned in the Court of Arches (an ecclesiastical court of the Church of England) only to soon receive vindication when the Lord Chancellor overturned said condemnation. Frederic Farrar's famous series of sermons in Westminster Abbey in 1877, published in print form as Eternal Hope a year later, disputed the traditional views of damnation and punishment. While highly influential Protestant theologians Karl Barth and Emil Brunner both didn't strictly identify as universalists, they each wrote in detail about how they viewed complete salvation extended to every single member of mankind as being not just a distinct possibility but something that should be hoped for by all Christians. The Universalist Church of America merged with the American Unitarian Association in 1961 to form the Unitarian Universalists. Hans Urs von Balthasar wrote a small book addressing the virtuous hope for universalism, as well as its origin in Origen, entitled Dare We Hope "That All Men Be Saved"?. He also addressed the relationship between love and universalism in Love Alone is Credible. Adolph E. Knoch and William Barclay were universalists. In 1919, the Swiss F. L. Alexandre Freytag led a breakaway group of the Bible Student movement. Children's author Madeleine L'Engle (A Wrinkle In Time) was an advocate of universalism, leading several Christian retail outlets to refuse to stock her books. Christian Universalism continues as an influence within Unitarian Universalism. In 2004, the Pentecostal bishop Carlton Pearson received notoriety when he was officially declared a heretic by the Joint College of African-American Pentecostal Bishops. Bishop Pearson, who had attended Oral Roberts University, a Charismatic Christian college, formally declared his belief in the doctrine of universal salvation. His church, called the New Dimensions Church, adopted this doctrine (that is, those who remained, since a significant majority of the church's original membership left), and in 2008, the congregation was merged into All Souls Unitarian Church in Tulsa, Oklahoma, one of the largest Unitarian Universalist congregations in the world. A book The Evangelical Universalist: The Biblical Hope That God's Love Will Save us All by "Gregory MacDonald" was published in 2006. "Gregory MacDonald" is a pen-name. It has subsequently been revealed that the author is Robin Parry. The same author is also co-editor of a 2003 compilation Universal Salvation? The Current Debate and of a 2010 book "All Shall Be Well" which reviews the doctrine of universal salvation from Origen to Moltmann. On May 17, 2007, the Christian Universalist Association was founded at the historic Universalist National Memorial Church in Washington, D.C. This was a move to distinguish the modern Christian Universalist movement from Unitarian Universalism, and to promote ecumenical unity among Christian believers in universal reconciliation. In 2008, the Russian Orthodox bishop Hilarion Alfeyev of Vienna, in his presentation at the First World Apostolic Congress of Divine Mercy (held in Rome in 2008), argued that God's mercy is so great that He does not condemn sinners to everlasting punishment. The Orthodox understanding of hell, said Bishop Hilarion, corresponds roughly to the Roman Catholic notion of purgatory. Contemporary Conservative Evangelical teachers of ultimate reconciliation include Thomas Talbott, Stephen E. Jones, J. Preston Eby, Bill and Elaine Cook., and J.D. Leavitt, founder of Heavenly Faith. Two Christian theologians of the 20th and 21st centuries writing in support of universalism that have received major notice are also J.A.T. Robinson and John Hick. Both of them argued for universalism as coming from God's nature as being of omnipotent love and stated that, as time went on after death, while some would temporarily refuse to repent, none would refuse to repent forever. Hick in particular stated that the seemingly contradictory nature of the Bible's references to damnation came about because the warnings of hell are conditional, warning men about eternal suffering if they permanently refuse to repent, while nobody would actually make that choice. Christian universalism was a minority view for most of history up to the 1800s. One recurrent objection to universalism made by many has been that having a deep-rooted belief in eternal torment as a possibility is a necessary deterrent from living an immoral life. Universalists have often responded that punishments for sin can function well without being eternal, especially in the afterlife when one can face severe treatment first before one eventually gets to heaven. ↑ Otis Ainsworth Skinner (1807–1861), A Series of Sermons in Defence of the Doctrine of Universal Salvation, Page 209, "Repentance is a means by which all men are brought into the enjoyment of religion, and we do not expect any man will be saved while he continues in sin. The reason why we hold to universal salvation, is, we expect all men will repent." 1 2 3 4 5 6 7 8 9 10 11 12 13 14 15 16 17 18 19 20 Richard Bauckham, "Universalism: a historical survey", Themelios 4.2 (September 1978): 47–54. 1 2 Fisher, David A. (December 2011). "The Question of Universal Salvation: Will All Be Saved?" (PDF). The Maronite Voice, Volume VII, Issue No. XI. Retrieved July 2, 2014. ↑ Scott, Harvey W (1917). "Future Life and the Book of Job". Religion, Theology and Morals. Riverside Press. p. 307. ↑ 1 For details see L. E. Froom, The Conditionalist Faith of Our Fathers (Washington, DC: Review and Herald, 1965–1966). ↑ Hosea Ballou, The ancient history of universalism: from the time of the apostles, 1842, p. 166. ↑ Von Balthasar, Hans Urs & Greer, Rowan A. Origen. Pg 3. Paulist Press (1979). ISBN 0-8091-2198-0. ↑ 1914 "Three Chapters". Catholic Encyclopedia. New Advent. Retrieved 2007-09-04. ↑ "Origen and Origenism". Catholic Encyclopedia. New Advent. Retrieved 2007-09-04. ↑ ed. John Anthony McGuckin, p. 61. See also Elisabeth Dively Lauro in the article on Universalism. ↑ Christian Universalist.org, The Christian Universalist Association History of Universalism. ↑ Seymour, Charles. A Theodicy of Hell. p. 25. Springer (2000). ISBN 0-7923-6364-7. ↑ Matthew Hale Smith, Universalism not of God: an examination of the system of Universalism, 1847, p. 58, "Universalists claim Origen, Clement of Alexandria, and some others among the early fathers. Yet these fathers held not one doctrine peculiar to Universalism; neither did they believe in the salvation of all men." ↑ Andrew C. Itter, Esoteric teaching in the Stromateis of Clement of Alexandria, 2009, p. 200, "Clement uses the term apokatastasis and its cognates generally to refer to the gnostic elect rather than to an eschatological restoration of the universe, or to a restoration of the faithful as a whole." ↑ Schmithals, Walter. The Theology of the First Christians. Pp. 85–88. Westminster John Knox Press (1998). ISBN 0-664-25615-5. ↑ Ludlow, Morwenna. Universal Salvation: eschatology in the thought of Gregory of Nyssa and Karl Rahner. Pp. 1–2. Oxford University Press (2000). ISBN 0-19-827022-4. ↑ Hilarion Alfeyev, The mystery of faith: "Salvation will not be compulsory for anyone: it is 'those who wish to follow' Christ who will be saved. 63 The doctrine of universal salvation is expressed in a very definite and striking manner by Isaac the Syrian,"
↑ See also Stetson, Eric. Christian Universalism: God's Good News for All People. p. 120. Mobile, Alabama: Sparkling Bay Books, 2008. ISBN 0-9670631-8-3. ↑ Morwenna Ludlow, The Journal of Ecclesiastical History (2004), Cambridge University Press – "Why Was Hans Denck Thought to Be a Universalist?" ↑ "Peter Bohler, one of the Moravian brethren, in order to make out universal redemption, lately frankly confessed in a letter that all the damned souls would hereafter be brought out of hell. I cannot think Mr. Wesley is thus minded. And yet unless this can be proved, universal redemption, taken in a literal sense, falls entirely to the ground. For how can all be universally redeemed, if all are not finally saved?" from Amirault G. Peter Bohler 1712–1775. ↑ Amirault, Gary. William Law 1686-1761. Law W. Affectionate and Earnest Address to the Clergy. Address 191: "every number of destroyed sinners, whether thrown by Noah's flood, or Sodom's brimstone, into the terrible furnace of a life, insensible of anything but new forms of raging misery till judgment's day, must through the all -working, all- redeeming love of God, which never ceases, come at last to know that they had lost, and have found again such a God of love as this". ↑ Seymour, Charles. A Theodicy of Hell. Pp. 30–31. Springer (2000). ISBN 0-7923-6364-7. ↑ Thomas Brown, A History of the Origin and Progress of the Doctrine of Universal Salvation. ↑ Catherine L. Albanese, A republic of mind and spirit: a cultural history of American metaphysical. ↑ "'Inclusionism' deemed heresy". The Washington Times. 2004-04-21. Retrieved 2007-05-27. ↑ Bill Sherman, "After last sermon, no regrets", Tulsa World, September 21, 2008. ↑ "Founding Board Meeting of the CUA". The Christian Universalist Association. May 17, 2007. Retrieved 2008-11-22.